Should You Take your Children to See Disney’s New Beauty and the Beast? A mom asked me this question because a debate broke out in her church group about the new movie opening today. Director Bill Condon revealed that the live-action reboot would end with a “nice, exclusively gay moment.” Moms who have been eagerly anticipating the release of this film prior to learning about the homosexual content are now discussing whether or not Christians should watch this film or allow their children to watch it. Some think that the homosexual content should not stop people from watching the film because many movies already depict heterosexual sinful lifestyles. Others wonder if they should not watch the movie so as to make a statement that they are against Disney’s agenda to legitimatize homosexuality in the eyes of children. 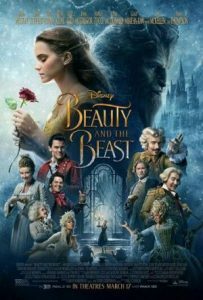 So, she asked, should Christian parents take their children to see Beauty and the Beast? My answer is a question: Are you able to interpret this Disney movie to your children? My question has two parts: your child and you. First ask, is my child now able to appreciate the mix of major messages being preached? All movies are preaching to us constantly. There is no such thing as a neutral movie without an agenda or message. 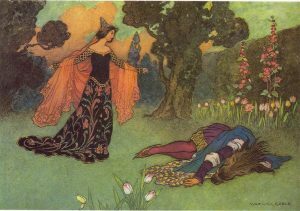 This story, Beauty and the Beast, will push the great theme of self-sacrifice mirroring Christ. But this rendition will also subtly preach acceptance of monogendered romance, contrary to Christ’s teaching. Is my child at the stage of being able to discern, if explained, this level of right and wrong (Hebrews 5:14)? When she is inclined to sing along with one of the songs, is she able to understand what she is promoting with her singing? I will give you a hint here—when addressed in age-appropriate ways, your children are able to do this sooner than you think. The second part of the question is about you: Can I and will I interpret the messages being preached by this movie (or really, any and all movies) to my child? Some parents feel that they don’t know the right words to say on these matters. The solution to that is to just start talking. God gave you specifically to this child to guide him in interpreting the culture (Ephesians 6:4). This is your responsibility and your privilege. You will intuitively know what your child can understand. You will find the right words. So, maybe a prior question is, have you been discussing other movies your child is seeing? Has there been a talk after she gets home from the babysitter? Because if you are, this should not be the first Disney movie with objectionable messages. Have you been discussing some of the main messages Disney has been sending little girls as they grew up in the 90s? Just like the Bible, Disney uses repetition for emphasis. Whether it is The Little Mermaid (1989): Disobey your father and it will turn out all right anyway, Pocahontas (1995): Disobey your father and it will turn out all right anyway (and it’s okay to pray to trees), or Mulan (1998): Disobey your father and….well, you get the idea. These movies then formed the main attractions at Disney World. You can expect likewise, Disney will begin to repeat the gender minimization in relationship message with less and less subtlety, and in more than just the movie’s ending. As you consider and pray for your child, and think about the movie’s effect on you, you will be able to teach your child what he needs to understand, if he is at a place to understand it. And you can decide whether it is worth the effort. My advice? The worst movie that you can bring your children to is the one that does not end with a conversation with you about what it is preaching. Mine: Thank you very much!